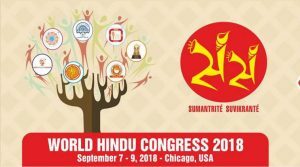 For Prelims and Mains: Key facts on WHC and significance of these conferences, Parliament of World Religions in Chicago. 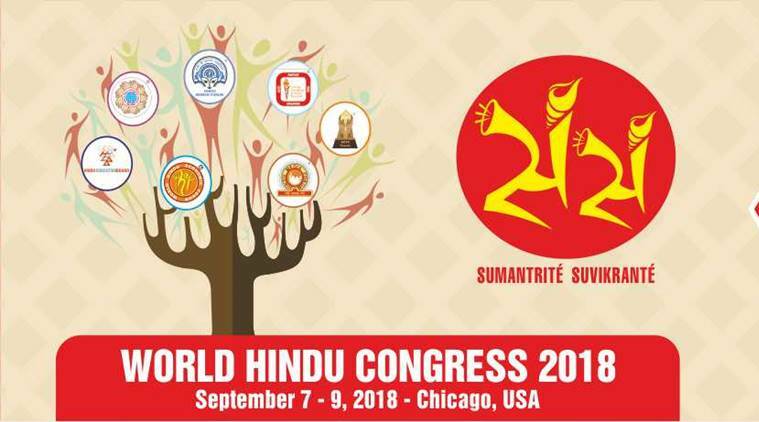 Context: The second World Hindu Congress is being held in Chicago, Illinois, U.S. It is inspired by the Hindu principle, Sumantrite Suvikrante or THINK COLLECTIVELY, ACHIEVE VALIANTLY. On the eve of the 125th anniversary of Swami Vivekananda’s historic address to the Parliament of World Religions in Chicago, Hindus from around the world and of all backgrounds are invited to actively participate. WHC also serves as a platform to address critical issues impacting Hindus worldwide, including human rights, discrimination, and cultural assaults. In the past, Hindus have held a number of forums and conferences intermittently. But the outcomes of resulting resolutions and implementation of action plans have been sporadic at best. Many of these events never covered dimensions critically important to Hindus such as education, media, politics, and economy with regularity. Moreover, not many of these events were cross-dimensional in nature. Hindus have both spiritual and secular needs. Unfortunately, many of the secular needs and challenges have been left for others to handle. The WHC seeks to fill in this very important gap. The World Hindu Congress is an informal organization organized by World Hindu Foundation. But it is dependent on the efforts of volunteers representing Hindu organizations from around the world. Each Congress will be held in a different part of the world. All Hindu organizations, associations, and institutions are encouraged to participate and invited to become partners in World Hindu Congress. For Prelims: BIMSTEC Military exercise and key facts on BIMSTEC. For Mains: Significance of the grouping, challenges faced by countries in the region, Criticisms and reforms needed. Context: The first BIMSTEC field training exercise is being held at Foreign Training Node at Aundh in Pune, Maharashtra. 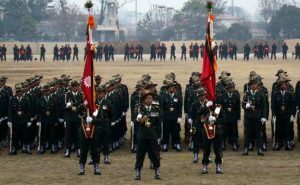 Armies of BIMSTEC members including India, Bangladesh, Bhutan, Sri Lanka, Myanmar, Thailand and Nepal will participate in it. Nepal is not participating in the exercise. The withdrawal of the Nepal Army from the event comes in the wake of stringent criticism from the ruling and opposition parties in the country, warning Nepal Prime Minister K P Oli that the move would go against the country’s history of following a policy of keeping equal distance from its neighbours, without ever being part of a regional bloc militarily. This sub-regional organisation came into being on June 6, 1997, through the Bangkok Declaration. It is headquartered in Dhaka, Bangladesh. For Prelims and Mains: WOSA- Key facts, themes and significance of the summits. Context: 4th World Summit on Accreditation (WOSA-2018) is being held at New Delhi. It is being organized by the National Board of Accreditation (NBA). Sub-Theme 3 – Ranking and Rating of Higher Education Institutions – Do they have a Role in Quality Improvement? The Summit will facilitate exchange of information on various challenges being faced during the transition between input-output based accreditation to outcome based accreditation. The discussion and global participation in WOSA 2018 will bring about new ideas and help in establishing new trends of identifying opportunities and challenges in professional and technical education world-wide. World Summit on Accreditation (WOSA) is a biennial Summit organised by National Board of Accreditation (NBA), which provides platform to stakeholders to share their knowledge and information on accreditation. NBA has already organised three Summits in 2012, 2014 and 2016 with the themes “Achieving Excellence through Accreditation”, “International Recognition of Education Qualifications” and “Quality Assurance through Outcome Based Accreditation” respectively. NBA has been accorded Permanent Signatory Status of Washington Accord since June, 2014. It has adopted internationally implemented outcome based assessment and accreditation, to ensure that the graduates of the NBA accredited programs are globally competent and relevant. Topic: Different types of irrigation and irrigation systems storage. For Prelims and Mains: Particulars of ICID heritage tag and irrigation facilities that received this tag. Context: A meeting of the International Executive Council, the highest decision making body of International Commission on Irrigation and Drainage (ICID), at Saskatoon in Canada last month has accepted Telangana government’s nomination of Sadarmatt anicut across river Godavari in Nirmal district and Pedda Cheruvu in Kamareddy district in the ICID Register of Heritage Irrigation Structures. It was constructed during 1891-92 across Godavari river on the left arm on downstream of Sriram Sagar Project near Medampally village in Nirmal. 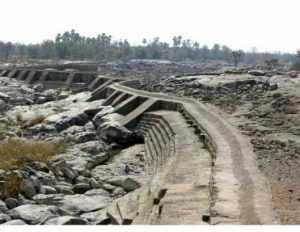 It was built by Nawab Ikbal-ud-Dowla who bore the tile of Vicar-ul-Umrah Bahadur about 50 km downstream of the Sri Ram Sagar Project (SRSP) and is chiefly fed by Sawrnavagu stream. The Pedda Cheruvu (big tank in Telugu) was built in 1897 during the rule of Mir Mahaboob Ali Khan, the sixth Nizam of Hyderabad State. This tank was taken up under the second round of Mission Kakatiya to be developed as a mini tank bund with an estimated outlay of ₹ 6.6 crore. The ICID is a Technical and Voluntary Not-for-profit, International NGO, dedicated to enhance the world-wide supply of food and fibre for all people by improving water and land management, and the productivity of irrigated and drained lands. For Prelims and Mains: All about DRTs. Context: The central government has raised the pecuniary limit from Rs 10 lakh to Rs 20 lakh for filing application for recovery of debts in the Debts Recovery Tribunals by such banks and financial institutions. The move is aimed at helping reduce pendency of cases in the 39 DRTs in the country. As a result, no bank or financial institution or a consortium of banks or financial institutions can approach the DRTs if the amount due is less than Rs 20 lakh. Debt Recovery Tribunals were established to facilitate the debt recovery involving banks and other financial institutions with their customers. DRTs were set up after the passing of Recovery of Debts due to Banks and Financial Institutions Act (RDBBFI), 1993. Section 3 of the RDDBFI Act empowers the Central government to establish DRTs. Appeals against orders passed by DRTs lie before Debts Recovery Appellate Tribunal (DRAT). The Debts Recovery Tribunal (DRT) are fully empowered to pass comprehensive orders and can travel beyond the Civil procedure Code to render complete justice. A Debts Recovery Tribunal (DRT) can hear cross suits, counter claims and allow set offs. However, a Debts Recovery Tribunal (DRT) cannot hear claims of damages or deficiency of services or breach of contract or criminal negligence on the part of the lenders. In addition, a Debts Recovery Tribunal (DRT) cannot express an opinion beyond its domain, or the list pending before it. A DRT is presided over by a presiding officer who is appointed by the central govt. and who shall be qualified to be a District Judge; with tenure of 5 years or the age of 62, whichever is earlier. No court in the country other than the SC and the HCs and that too, only under articles 226 and 227 of the Constitution have jurisdiction over this matter. Topic: Infrastructure and related issues. For Prelims: Particulars of NIIF and funds under NIIF. For Mains: Significance of NIIF and the need for Infrastructure funding. Context: Singapore’s Temasek has agreed to invest as much as $400 million in the National Investment and Infrastructure Fund (NIIF), a fund set up by the government of India to boost infrastructure financing in the country. With this, Temasek joins government of India, Abu Dhabi Investment Authority (ADIA), HDFC Group, ICICI Bank Ltd, Kotak Mahindra Life Insurance and Axis Bank Ltd as investors in NIIF’s Master Fund. The government had set up the ₹40,000 crore NIIF in 2015 as an investment vehicle for funding commercially viable greenfield, brownfield and stalled infrastructure projects. The Indian government is investing 49% and the rest of the corpus is to be raised from third-party investors such as sovereign wealth funds, insurance and pension funds, endowments, etc. NIIF’s mandate includes investing in areas such as energy, transportation, housing, water, waste management and other infrastructure-related sectors in India. NIIF currently manages three funds each with its distinctive investment mandate. The funds are registered as Alternative Investment Fund (AIF) with the Securities and Exchange Board of India (SEBI). Master Fund: The Master Fund is an infrastructure fund with the objective of primarily investing in operating assets in the core infrastructure sectors such as roads, ports, airports, power etc. Fund of Funds: Fund of Funds anchor and/or invest in funds managed by fund managers who have good track records in infrastructure and associated sectors in India. Some of the sectors of focus include Green Infrastructure, Mid-Income & Affordable Housing, Infrastructure services and allied sectors. Strategic Investment Fund: Strategic Investment Fund is registered as an Alternative Investment Fund II under SEBI in India. 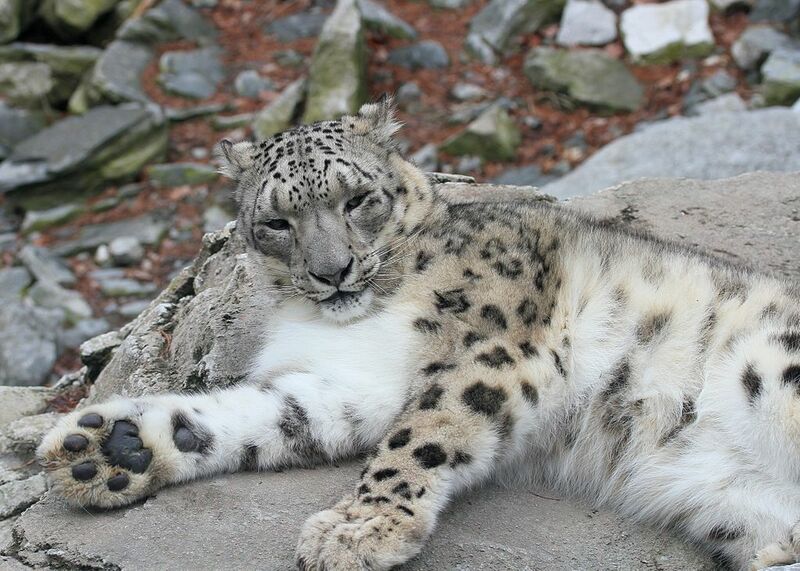 Officials from Himachal State Wildlife Department have spotted snow leopard in Lippa-Asra wildlife sanctuary in Kinnaur district of Himachal Pradesh. This finding indicates that snow leopards are inhabiting new areas. They inhabit alpine and subalpine zones at elevations from 3,000 to 4,500 m (9,800 to 14,800 ft). In the northern range countries, they also occur at lower elevations. 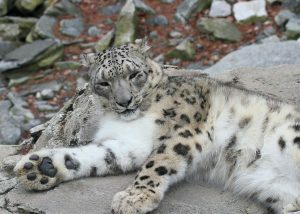 The snow leopard is the state animal of Uttarakhand and the National Heritage Animal of Pakistan. Their habitat extends through twelve countries: Afghanistan, Bhutan, China, India, Kazakhstan, Kyrgyzstan, Mongolia, Nepal, Pakistan, Russia, Tajikistan, and Uzbekistan. China contains as much as 60% of all snow leopard habitat areas. The snow leopard, like all big cats, is listed on Appendix I of the Convention on International Trade of Endangered Species (CITES), which makes trading of animal body parts (i.e., fur, bones and meat) illegal in signatory countries. It is also protected by several national laws in its range countries. Global Snow Leopard Forum, 2013: 12 countries encompassing the snow leopard’s range (Afghanistan, Bhutan, China, India, Kazakhstan, Kyrgyz Republic, Mongolia, Nepal, Pakistan, Russia, Tajikistan, and Uzbekistan). Bishkek Declaration: To protect the species and it’s environment. Global Snow Leopard and Eco-system Protection Program: It is a joint initiative of range country governments, international agencies, civil society, and the private sector. Goal — secure the long-term survival of the snow leopard in its natural ecosystem. Kempegowda International Airport (KIA) in Bengaluru is set to become the first airport in Asia next year to use face recognition as the boarding procedure for passengers to board flights and move across different sections of the airport. This is the first end-to-end face recognition-based walk through experience in Asia and the largest in the world. The project will be implemented by Vision Box, a Portuguese software firm. The goal of the programme is to simplify the journey by making it paperless from registration to boarding. Biometric technology will identify passengers by their face as they move across the airport, avoiding stops and the repeated presentation of boarding passes, passports or other physical identity documents. Context: Researchers recently spotted ‘Pondicherry shark’, an endangered species protected under the provisions of the Wildlife (Protection) Act, in the East Godavari River Estuarine Ecosystem region. Scientifically known as Carcharhinus hemiodon, it belongs to the Carcharhinidae family with a growth of 3.3 feet. Known as ‘Pala Sora’ in the local parlance, the Pondicherry Shark is on the verge of extinction even according to the conventional fishermen. The International Union for Conservation of Nature (IUCN) has listed the Pondicherry shark as Critically Endangered. 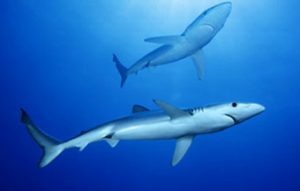 The shark is among the 25 “most wanted lost” species that are the focus of Global Wildlife Conservation’s “Search for Lost Species” initiative.